^ Bondy & Murty 2008, p. 50. ^ ディーステル 2000, p. 10. ^ ディーステル 2000, p. 6. ^ Bondy & Murty 2008, p. 80. Reinhard Diestel (2010), Graphentheorie. Springer-Verlag, Vierte Auflage, 2010 Korrigierter Nachdruck 2012 Heidelberg xviii+355 Seiten, 129 Abbildungen September 2010 (2006, 2000, 1996) ISBN 978-3-642-14911-5 EUR 32,99. Biggs, Norman L.; Lloyd, E. Keith; Wilson, Robin J. (1998). Graph theory 1736–1936 (Reprint with corrections ed.). Oxford University Press. ISBN 0-19-853916-9. MR0879117. Zbl 0904.05001. https://books.google.com/books?id=XqYTk0sXmpoC. Bondy, J. A.; Murty, U. S. R. (2008). Graph theory. Graduate Texts in Mathematics. 244. Springer. ISBN 978-1-84628-969-9. MR2368647. Berge, Claude (1958), Théorie des graphes et ses applications, Collection Universitaire de Mathématiques II, Paris: Dunod. English edition, Wiley 1961; Methuen & Co, New York 1962; Russian, Moscow 1961; Spanish, Mexico 1962; Roumanian, Bucharest 1969; Chinese, Shanghai 1963; Second printing of the 1962 first English edition, Dover, New York 2001.ISBN 978-0-48641-975-6. Chartrand, Gary (1985), Introductory Graph Theory, Dover, ISBN 0-486-24775-9. Harary, Frank (1969), Graph Theory, Reading, MA: Addison-Wesley. Harary, Frank; Palmer, Edgar M. (1973), Graphical Enumeration, New York, NY: Academic Press. Lovász László (2008), Kombinatorikai problémák és feladatok, Typotex Kiadó, ISBN 978-963-9664-93-7. 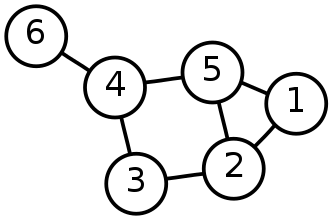 William Thomas Tutte (2001), Graph Theory, Cambridge University Press, ISBN 978-0-521-79489-3.